Product information "Black Luna - Full Calendar Chrono with Moonphase - (Dial black)"
With the Black Luna TNT strove to produce a completely unique timepiece utilizing a few classic design cues coupled with a swiss Valjoux 7734 movement modified to offer complications never before executed in a budget timepiece. The Black Luna shares its basic case design with another limited production project: The Challenger Rattrapante, which was produced in a short run of 75 units for members of the Watchuseek Forum. 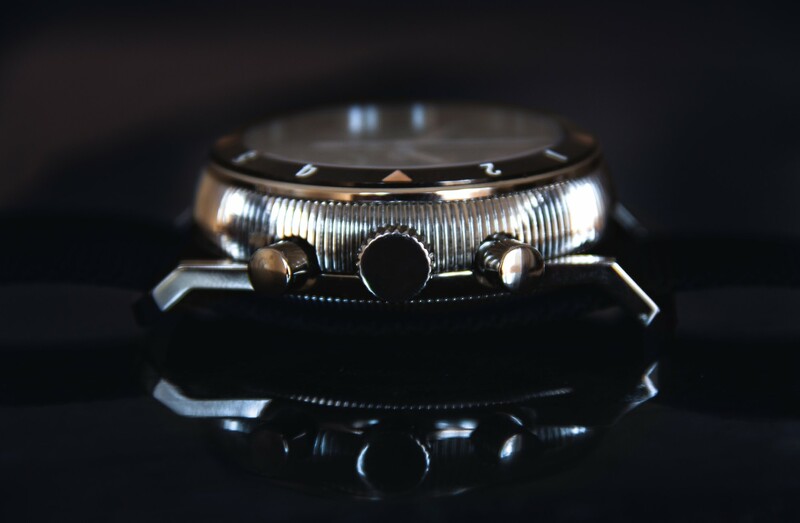 The case is set to be 43mm in diameter, 54mm lug to lug, and 16mm in thickness, crafted from 316L steel. Unique features include coin-edge detailing along the sides of the case, with angular fixed lugs protruding from the bottom edge. 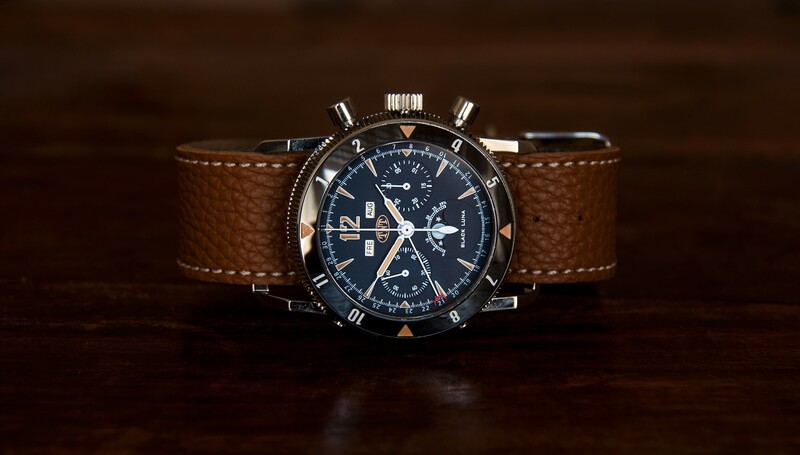 Unlike the bullhead-design Rattrapante, the Luna has its chronograph pushers located at the traditional 2:00 and 4:00 positions, with the crown set at 3:00. 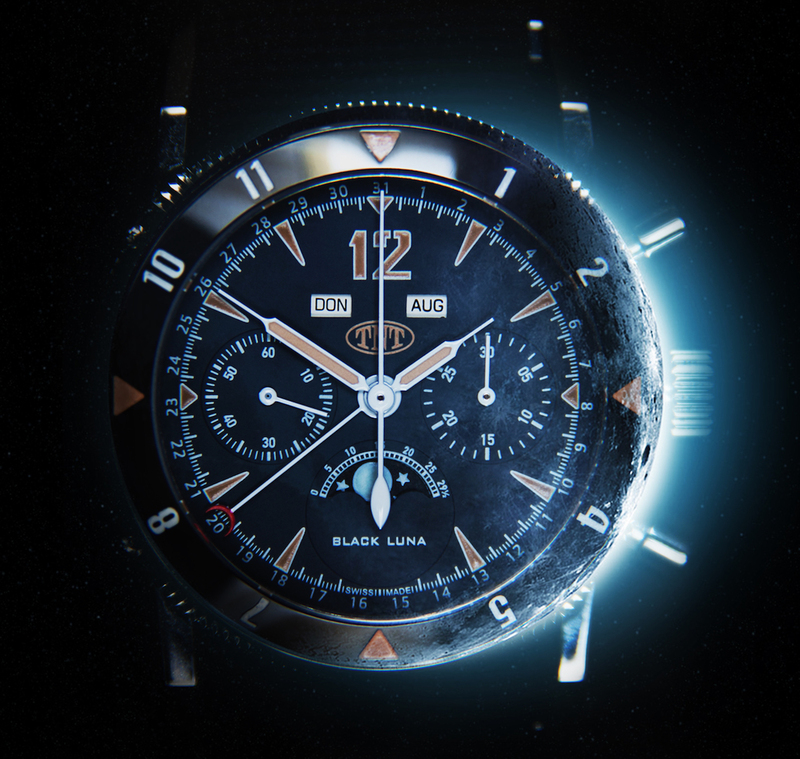 Technical details "Black Luna - Full Calendar Chrono with Moonphase - (Dial black)"
cues coupled with swiss new old stock movements modified to offer complications never before executed in a budget timepiece. Within the Challenger serie you can find 3, all of them exclusive and limited. All Challengers shares their basic case design with other limited productions out of this serie. 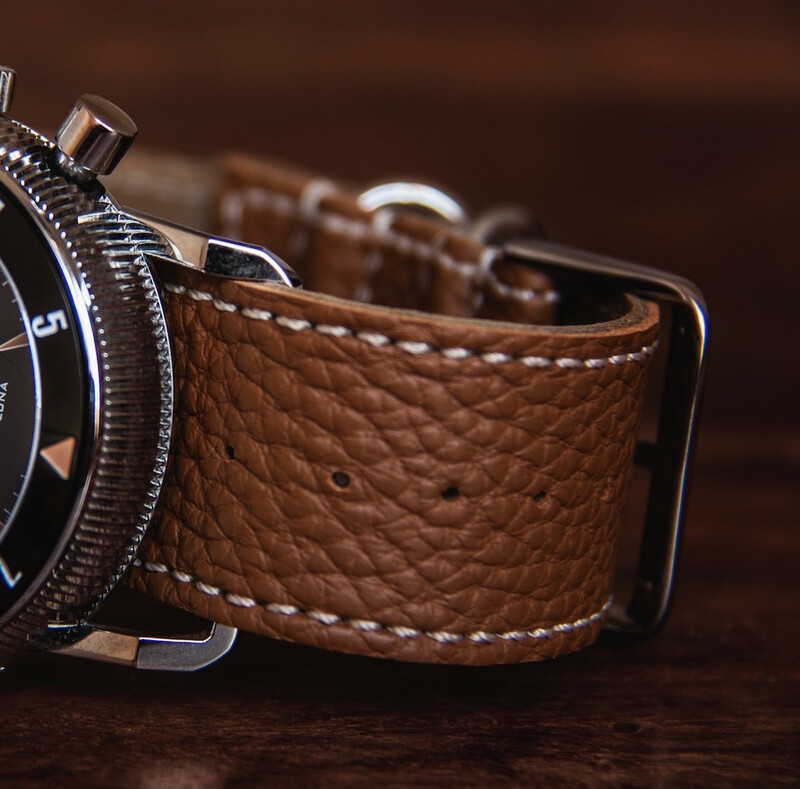 The case is set to be 43mm in diameter, 54mm lug to lug, and 16mm in thickness, crafted from 316L steel. Unique features include coin-edge detailing along the sides of the case, with angular fixed lugs protruding from the bottom edge. 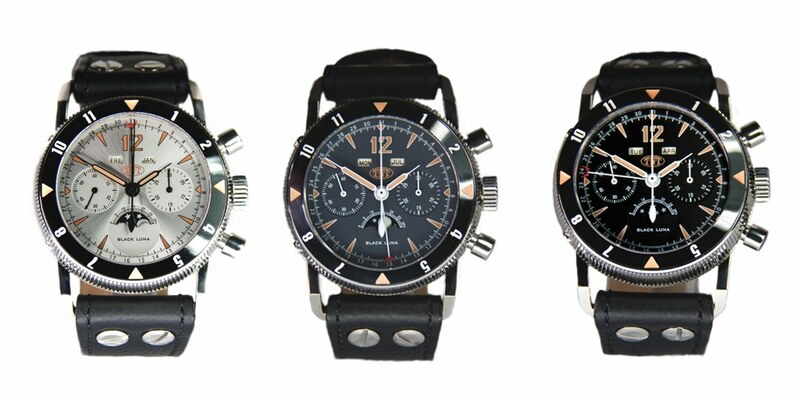 Beside the 2 Chronos we have also the 3 hand version. 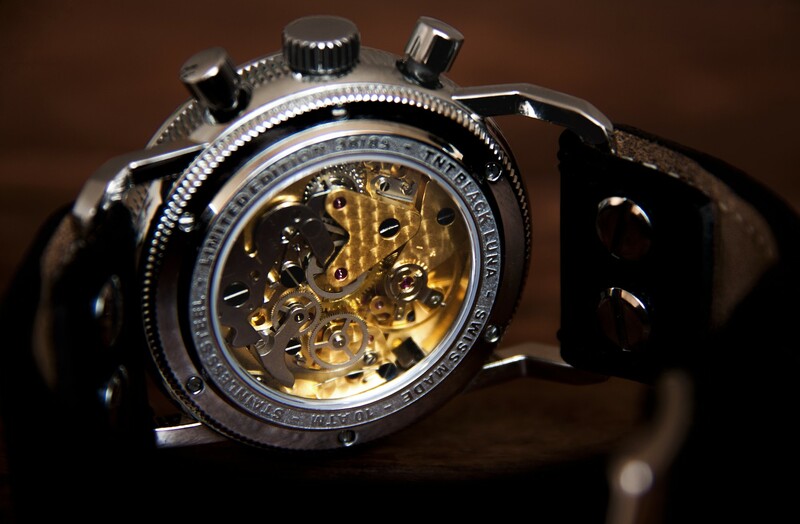 The beauty of the piece aside, the mechanical elements of the Luna are highly impressive in their own right. It has been previously proven in pieces that impressive high-horology complications can be crafted from industry swiss movements. 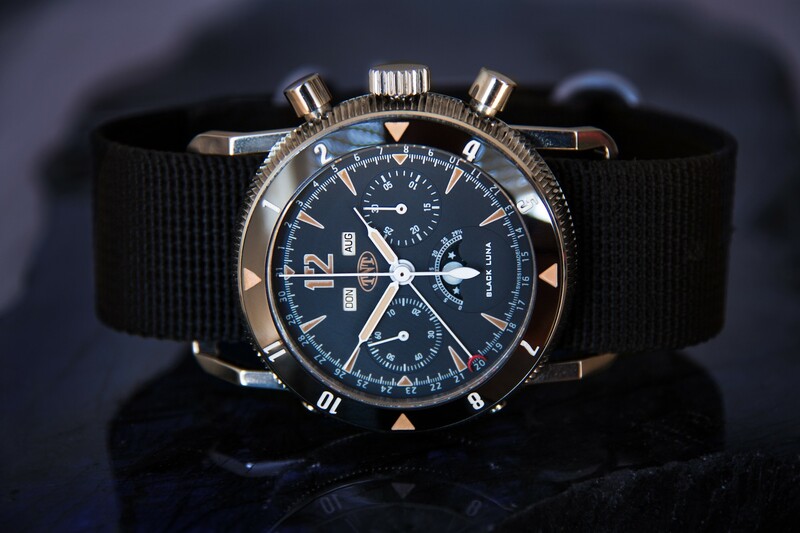 TNT takes that a step further with the Luna, as the base movement is a manual-winding Valjoux 7734 chronograph unit. The movement will be decorated with Perlage and visible through a display back. Around the outer track is a 31 Day Calendar, and Day and Month displays sit just below 12:00. 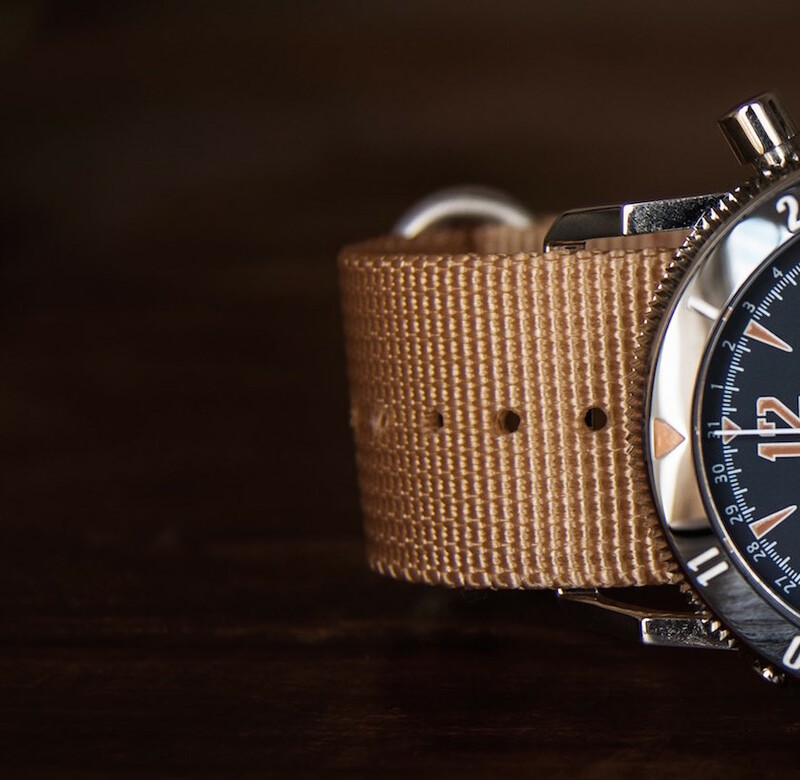 The hands are baton style and like the hour markers, are finished with brown soft glowing Luminova (focus was here on design aspect and not on the Luminova power), giving the whole timepiece a great vintage look. Finishing off the design of the Luna, a black ceramic bezel with engraved numerals and triangle markers is affixed around the 3mm thick Borosilicate (read: Pyrex) crystal. Borosilicate has a hardness of 8 Mohs, which is almost the same level as sapphire crystal, but will not smudge as easily and has a high temperature resistance. Below the Buleberry version ! The Black Luna shares its basic case design with another limited production project: The Challenger Rattrapante, which was produced in a short run of 75 units for members of the Watchuseek Forum. 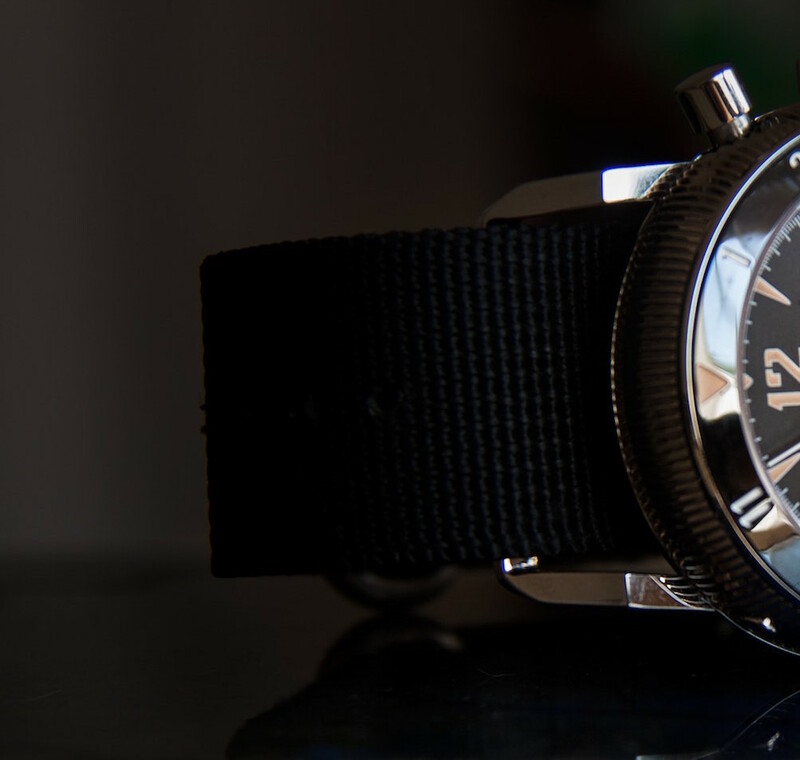 The case is set to be 43mm in diameter, 54mm lug to lug, and 15.2mm in thickness, crafted from 316L steel. The Challenger ONE is the minimalistic version of the Challenger Serie and comes with swiss ETA 2842 mechansim. 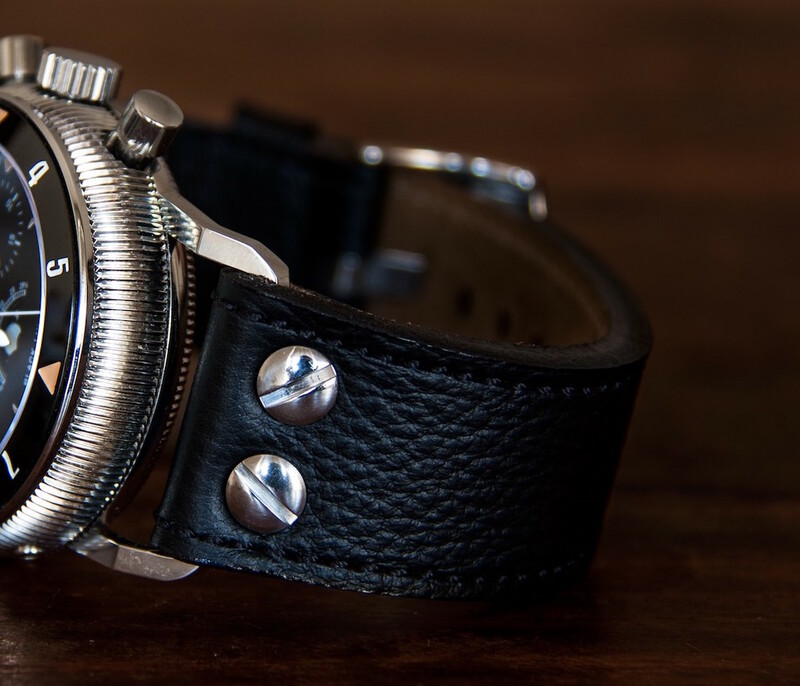 There are 2 leather strap versions available for the LUNA. 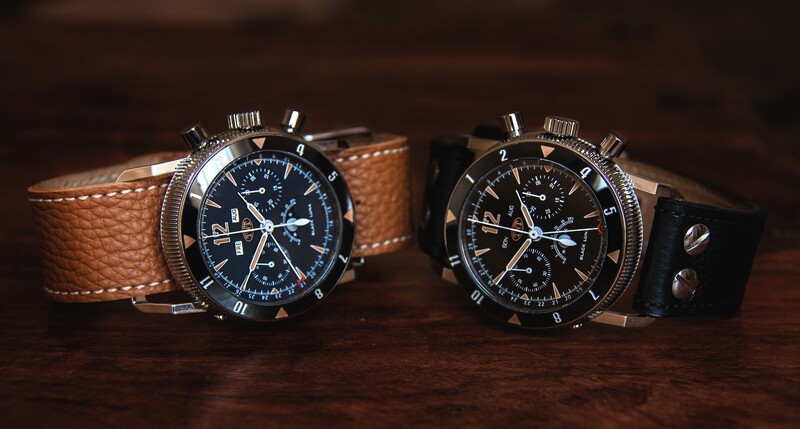 You can choose between brown leather NATO strap or black leather PILOT strap. Optional you can order the PVC NATO strap in our shop in 2 different colors. 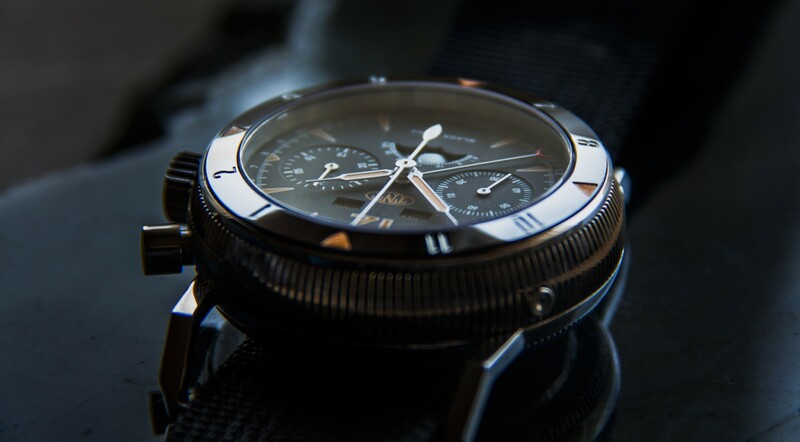 The PVC NATO version fits to all our Challenger models. 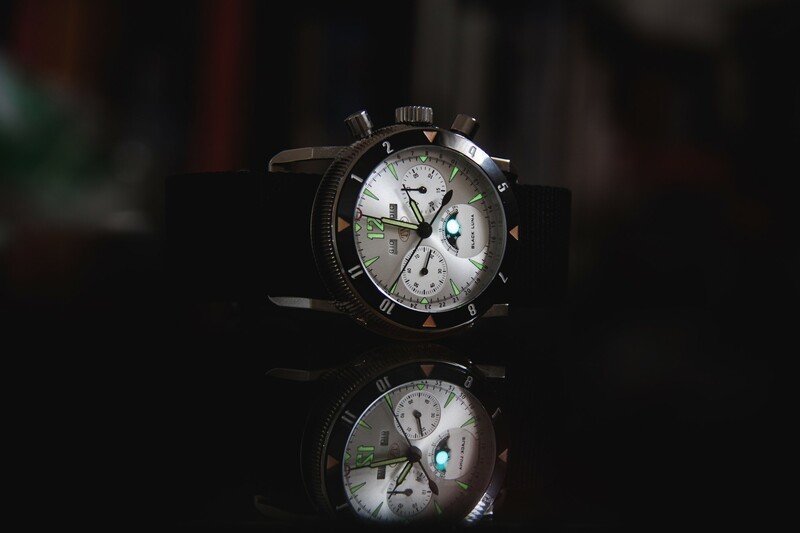 Customer evaluation for "Black Luna - Full Calendar Chrono with Moonphase - (Dial black)"